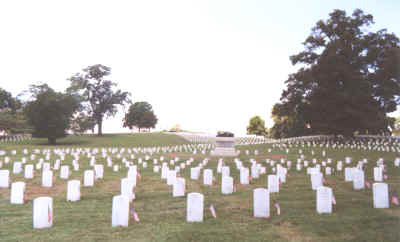 More than 12,000 Union soldiers are interred at the beautiful National Cemetery in Chattanooga, Tennessee, located near Orchard Knob. The park-like setting includes 121 acres of land, making it the largest cemetery in the state. With over than 37,000 interments presently, the cemetery is near capacity and scheduled to close to new interments in 2015. Only veterans, their wives and families may be buried here.